Choose from 3.4, 5.0 and 6.6 mile trail races PLUS the "Running with the Goats" fun run. Part of the Barn to Run Trail Race Series. Memorial Day, Monday, May 27, 2019 in Dover, MA. Four race distances to choose from and part of the Barn to Run Trail Race Series. The 2019 Patriot Half is Saturday, June 15, 2019. This event is completely SOLD OUT. Thank you to all who signed up! 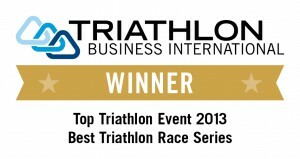 "Multisport Madness" with a triathlon, duathlon and splash & dash. Early bird pricing ends January 31, 2019. 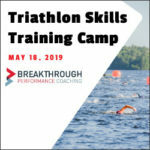 Two day of great multisport racing, August 24-25, 2019 in Lakeville, MA. Choose from 3.4, 6.0 & 9.3 mile races. Part of the Barn to Run Trail Race Series. Join us in Boston on Sunday, March 24, 2019 to kick off the new season! 2019 Keynote speaker DES LINDEN. Sun Multisport Events (SME) is a New England-based multisport and running event production company offering a unique set of events for athletes of all levels of experience. Our line-up includes the RACE-MANIA Summit and Expo, the definitive kick-off to the new season for 2,000+ endurance athletes… an award-winning multisport (triathlon, aquabike, duathlon and splash & dash) race series … and Barn to Run, New England’s first and only farm-based trail race series. We’re also proud partners in the New England Kids Triathlon, the largest youth-focused triathlon in the northeast with 1,000+ young triathletes. SME received national recognition in the “Triathlete’s Choice” awards program administered by Triathlon Business International (TBI) winning “Best Race Series” in 2013 and “Best Small Race” (less than 1,000 athletes) an unprecedented three times for the Patriot Half in 2018, 2017 and 2014. The Patriot Half was also voted “Best Triathlon” in the “2016 Best of Competitor” (Northeast) awards program. Ask around and you’ll hear what makes us different… race with us and experience it for yourself. Just wanted to say what a great race you folks put on yesterday. It was my second Whaling City Triathlon, but I’ve done many races throughout New England and without a doubt, Sun Multisport Events is head and shoulders above the other organizers. Hi Mark, I did 10 tris in Rhode Island and Massachusetrs this season with most of the local race production companies. I can tell you that the quality of your races is second to none and I thank you for putting on great events. It was my great pleasure to race the Cranberry Trifest Sprint. It was as well organized as any major 70.3 or Ironman I’ve done… well marked, safe, wonderful volunteers… just a tremendous event! Thank you for having me! I did your race (Patriot Half) on Saturday with my husband and my father did the Aquabike. I want to thank your organisation for this race. You know, I have done near 150 events in the last 10 years and your race is now in my top 5. We will highly recommend your race for sure. The two loops on the bike and the run were enjoyable, the volunteers were so fine with us, the lunch after race was perfect. Thank you very much to all your team… eight hours driving in the car is not long for this kind of event. This was my first year doing this event (Cranberry Trifest). I heard from friends who had done it in years past that it was a fun event but you cannot really appreciate that comment until you experience it. I have done many multisport events and single sport events and NO ONE has impressed me the way you put on this event. From the hospitality and helpfulness of the volunteers throughout the race to the shirts that are the absolute best and the cold water bottle and face cloth after the finish (nice touch). The medal was much appreciated too. Such a fun festival family atmosphere for all who attended. Hats off to you and your volunteers. I will be back next year! All the best! I just wanted to say what an amazing job you did with the Whaling City Triathlon. It was my first tri, so although I don’t have anything to compare it to, I thought it was so well organized, everyone was really friendly, the course was incredible, and it was an amazing experience all around! Thanks for all your hard work, it was clear you really put a lot into this. Cheers! I just wanted to thank you for an exceptional race this weekend. At every turn, from start to finish, this race was well managed. Particular highlights for me were the abundance of volunteers, the great race swag (awesome medals!) and the exceptional organization. This race (Westborough Sprint Triathlon) is without a doubt one of my favorites now and I’ll definitely be back next year. Loved the course (particularly the run!). I just wanted to let you know that I think you did a fantastic job and I look forward to participating in more Sun Multisport events in the future. Thanks again! You never fail to amaze me at the wonderful job you do. I’ve been participating in your events since the first Patriot Half in 2007 and you always come through. Your events are so well organized and packed with amenities such as ice cold washcloths at the finish line. I loved the cool mist fans and the after race food was delicious! And what a venue! Beautiful roads to ride and run, perfectly marked, not a chance of going wrong. Thank you! I’m writing you and the entire team of people that made this race possible. It was an awesome 1st time triathlon race experience for me and need to say the event just blew me away… Everything was organized on superb level, all the people were very positive and supportive, the safety of the race and the atmosphere was really great… looking forward to next year’s event… keep up the good work. Thank you for an awesome event last weekend. This was my first Cranberry Trifest Olympic distance tri and just my second Olympic tri overall and I’m not going to lie – the distance was hard — but the race itself was a blast. Your staff and volunteers were amazingly organized, helpful, and cheerful. The swim in the lake was smooth, the bike loop was scenic, and the run was great even with the hill at the end. All routes were very clear and easy-to-follow with big thanks to the police and volunteers stationed at all turns. I loved the band and BBQ at the finish and also appreciate the race’s tech T shirt. I’ll wear mine with pride.